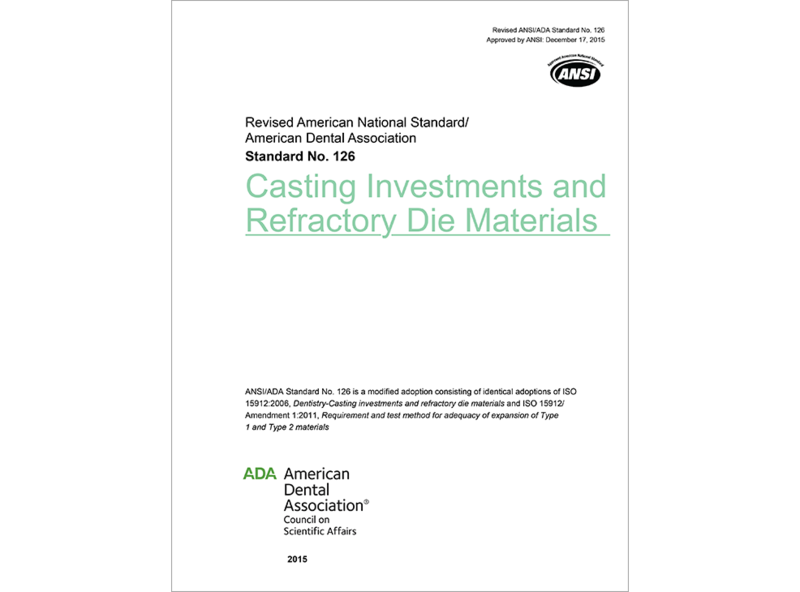 (DOWNLOADABLE PRODUCT) This standard is applicable to dental casting, brazing and refractory investments and refractory die materials, regardless of the nature of the binding system or the particular application. This standard presents requirements for the essential physical and mechanical properties of the materials and the test methods used to determine them. This standard is an identical adoption of ISO 15912:2006, Dentistry-Casting investments and refractory die materials.